Hey guys so I thought that today I would share with you some storage ideas that I have found. As some of you may already know I’m currently doing up my room as I want to make it more organised and easier to keep clean & tidy!! I also want to add more personal touches to it as it’s quite plain at the moment. First of all are these felt boxes which come in a set of 3 from Dwell I was unable to find the pink set however I managed to find a grey set here. 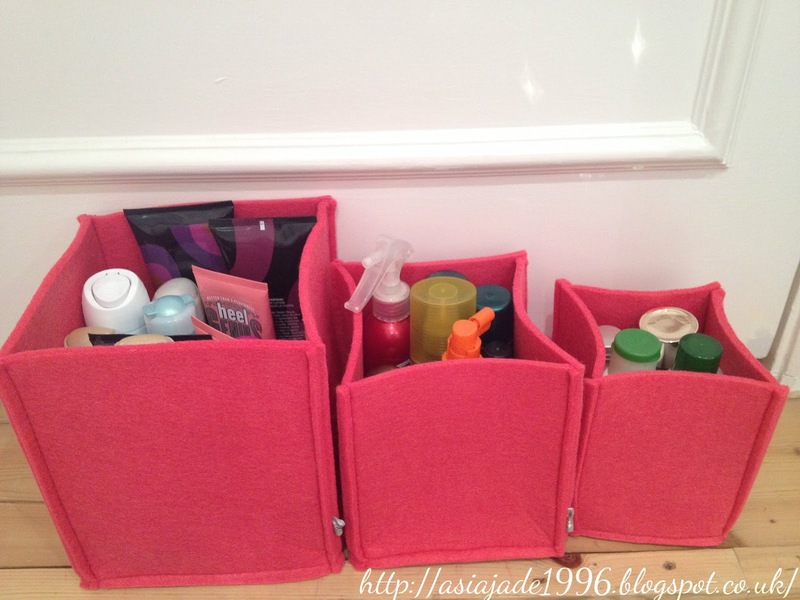 As you can see I have used them to place my beauty products in I have split them up according to function such as hair, face or body. 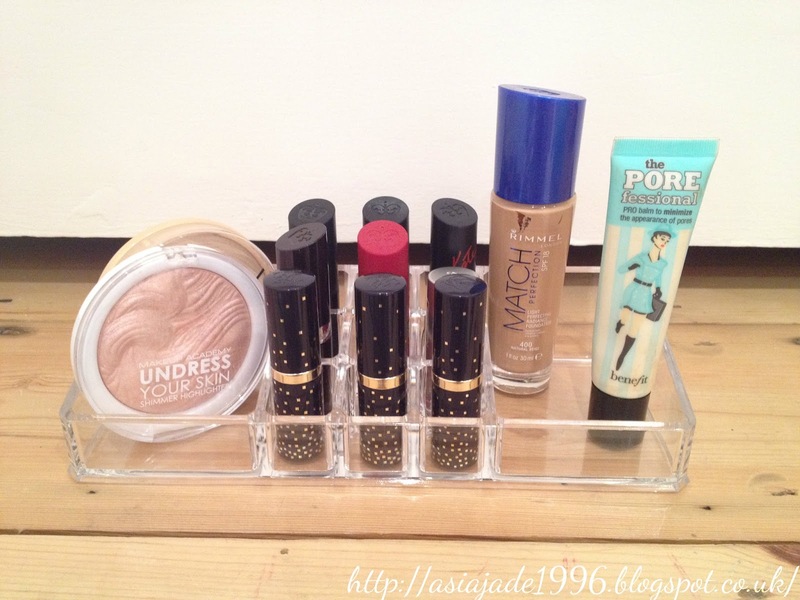 Before I had these I kept all of my beauty products in one big box which was very messy and sometimes took me ages to find the product I wanted. 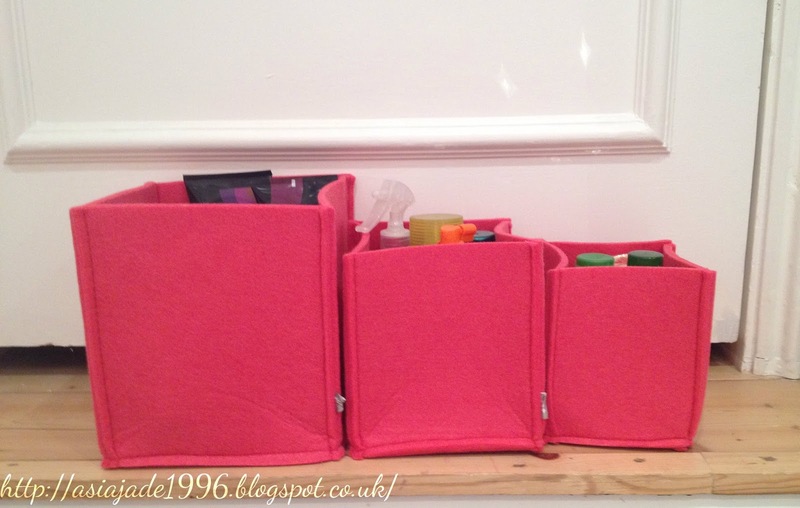 They are really handy as I keep all of my beauty products & make-up products in one draw. 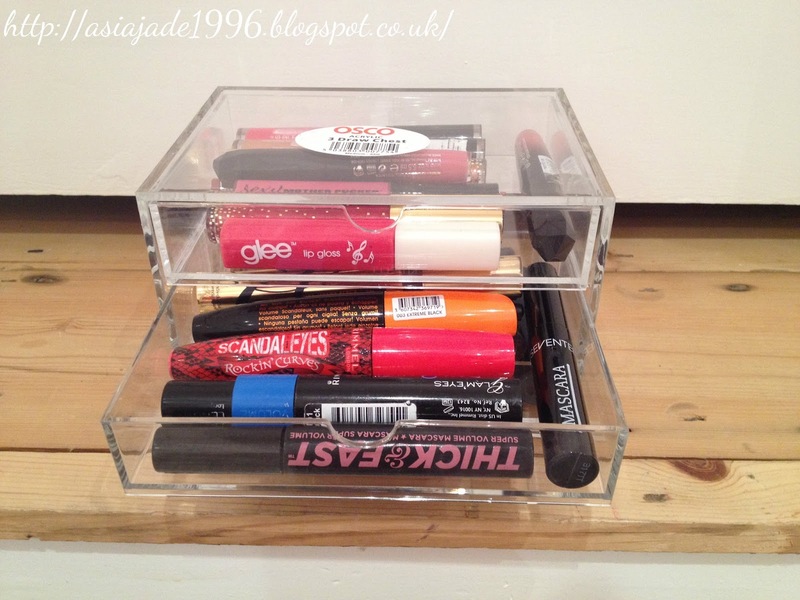 This means that it’s easy to keep that draw tidy and organised without having to spend loads of time tidying it up. I then took a look on Amazon and picked up the next three items that I’m going to be talking about. They’re all acrylic which I love as it’s a material which can be paired with most patterns and materials. 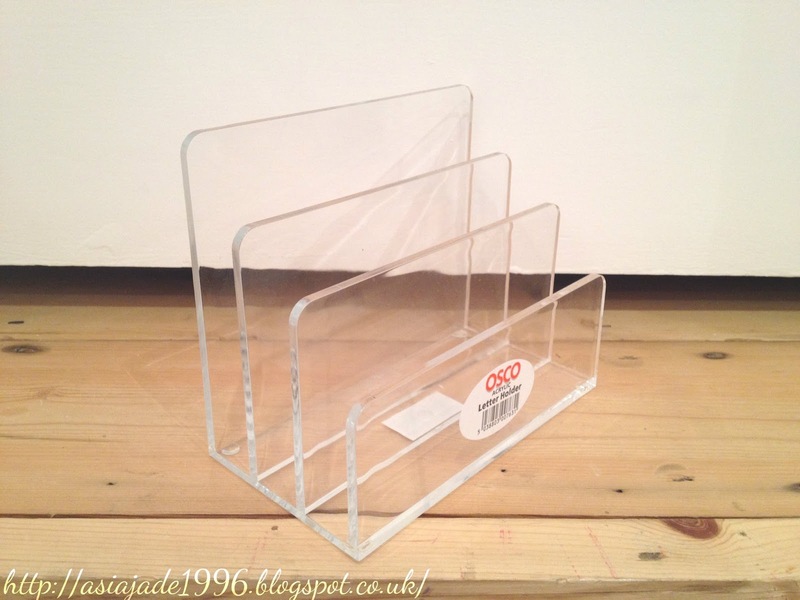 The first thing that I picked up is this Osco Clear Acrylic Letter Holder which was £6.50. This will go on my desk and will be used for dividing up subject homework as I currently study 3 subjects which is perfect as this has 3 letter slots. I was really pleased with the size of it as it will fit on my desk perfectly. 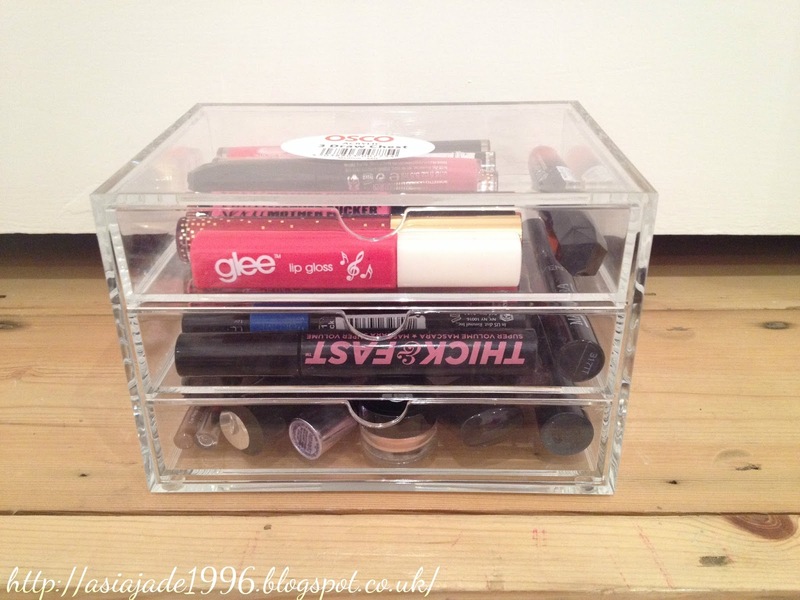 I then purchased this Acrylic Cosmetic Organiser which was £7.49 this was in the sale and is originally £14.99. I have to admit when I first got it I was surprised by the size of it as it’s quite small. However I overcame this as I remembered that if it was any bigger it wouldn’t fit on my desk!! As you can see it’s a great way to organise your daily make up I currently have my lipsticks and a few face products in it. 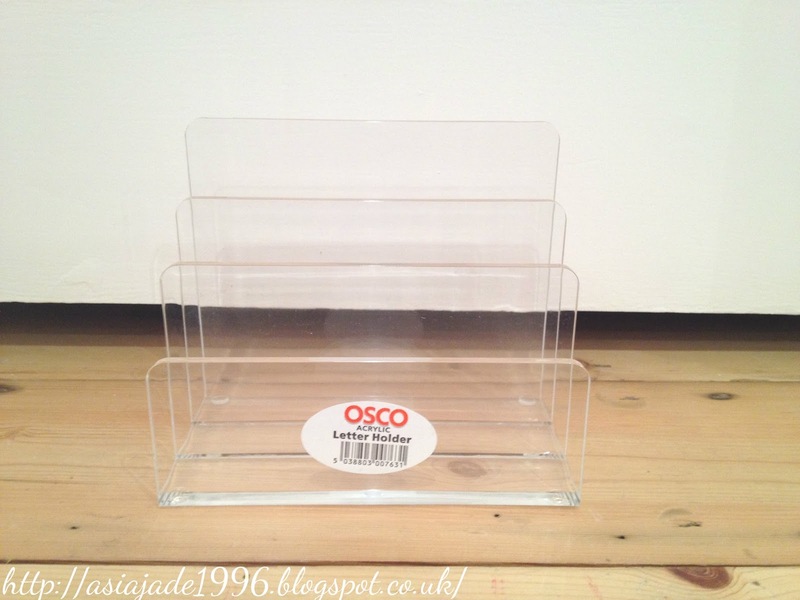 Last of all I purchased this Osco Clear Acrylic 3 Drawer Chest which was £13.15. I’m sure most of you have either seen boxes like these from the container store or from Muji here in the UK. 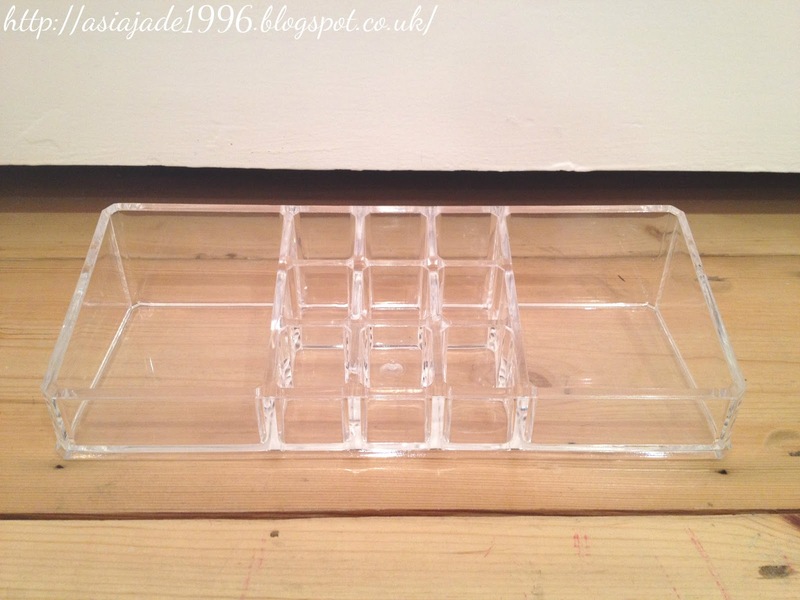 I was very pleased with this when it came as it is a perfect size for me at the moment it fits most of my make-up products in it and is small enough to be placed on my desk. As you can see I have some of my lip products in the top drawer, mascaras in the middle one and then other eye products in the bottom drawer. I will defiantly be re-purchasing this as it was so reasonably priced considering the size of it. I find that these types of draws from Muji are over priced and not worth it when you can find a perfect replacement for half the price on Amazon!! "Review | Seventeen BB Magic Blemish Balm"